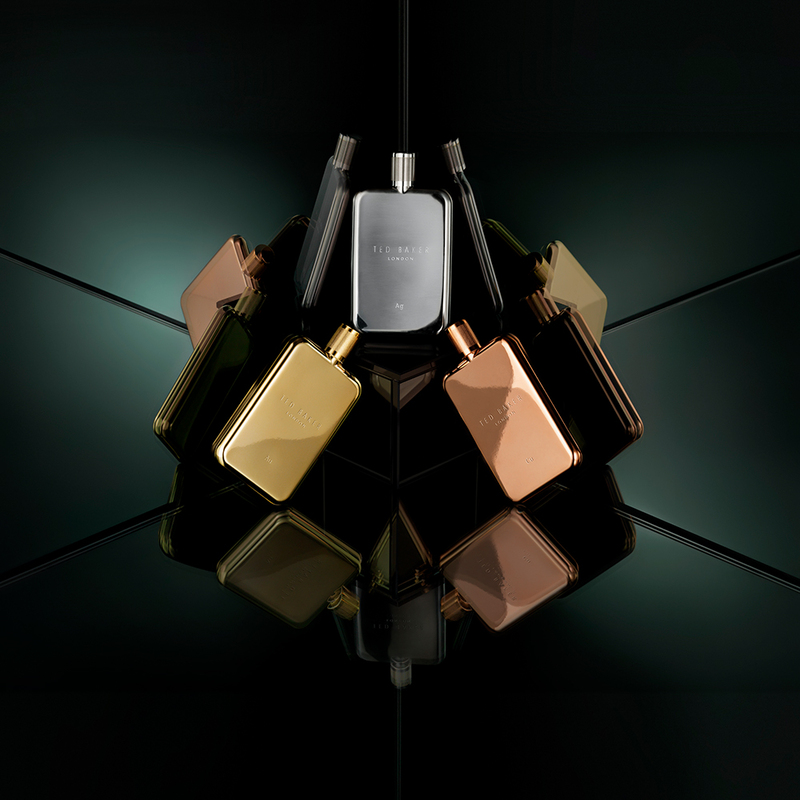 KMI Brands and Ted Baker are pleased to announce the launch of the innovative new 25ml Travel Tonics for men, expanding the Tonics 100ml fine fragrance collection which launched in 2017. 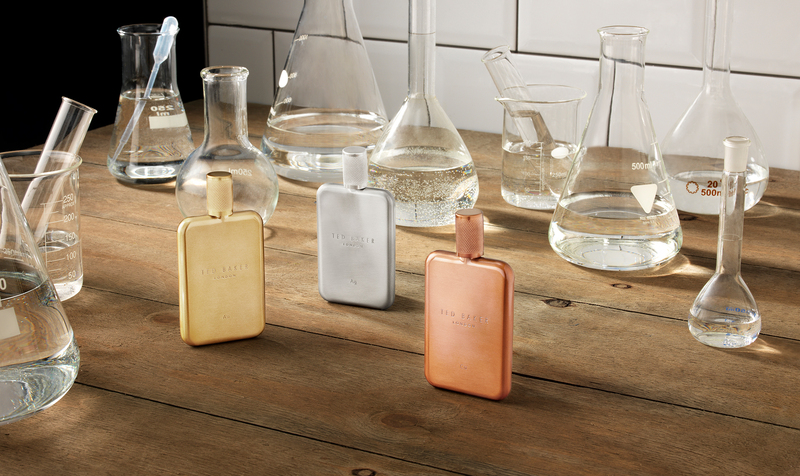 The new Travel Tonics fragrances are available in Ag (Silver), Au (Gold) and Cu (Copper) and each one is presented in a unique slim line and portable metal flask which is also refillable using the new 50ml refill bottle. The original Tonics collection include fragrance notes such as violet leaf, leather, pepper and bergamot to reflect the individual personality of each of the three fragrances as well as conveying a masculine, stylish scent. The whole launch campaign for Tonics was centred around the precious metals, periodic table chemistry theme using the strapline ‘spark a positive reaction’. 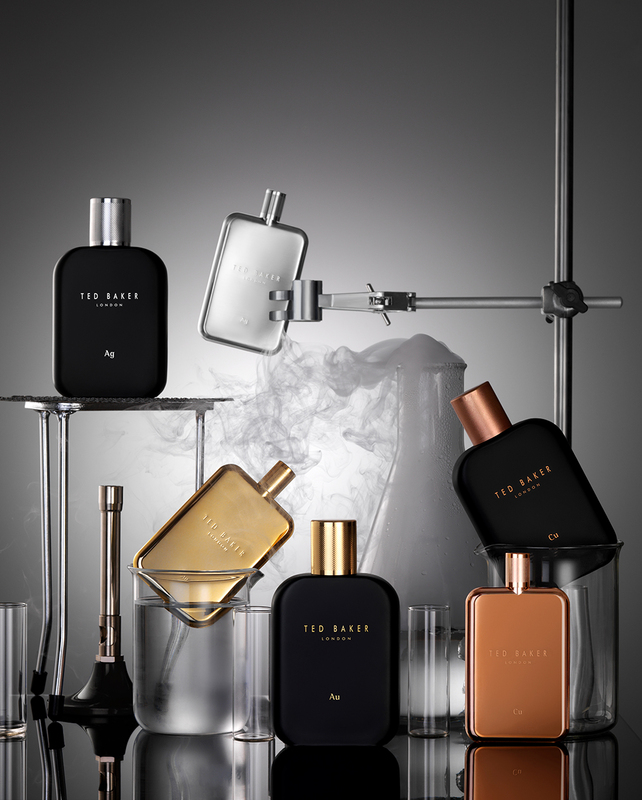 The first Ted Baker fragrance was produced 20 years ago and today KMI Brands is Ted Baker’s longest standing license partner. The new 25ml Travel Tonics are now available in Ted Baker stores nationwide and online at tedbaker.com, priced £28 each.